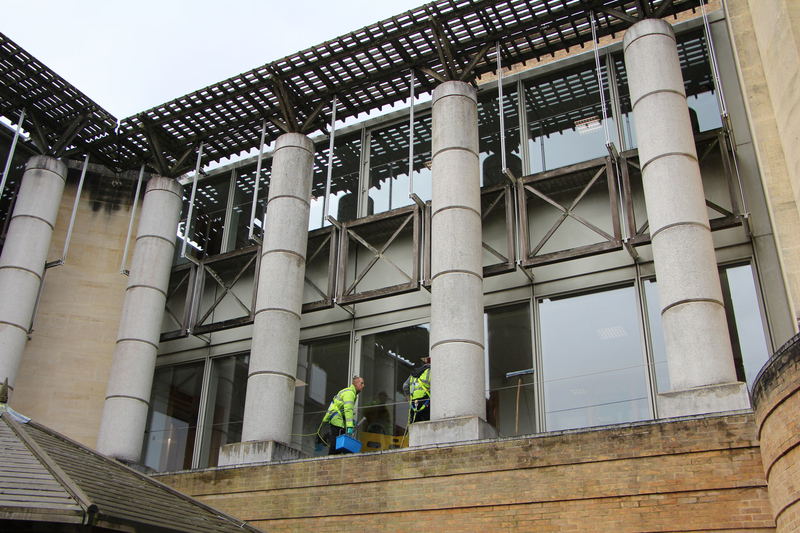 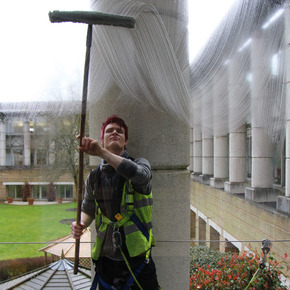 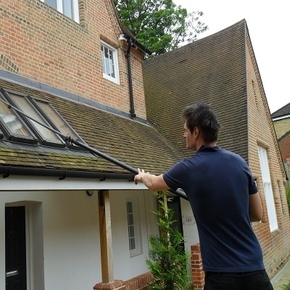 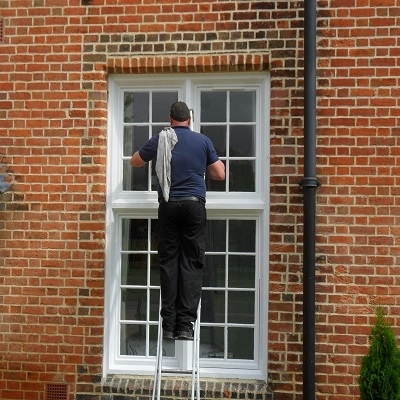 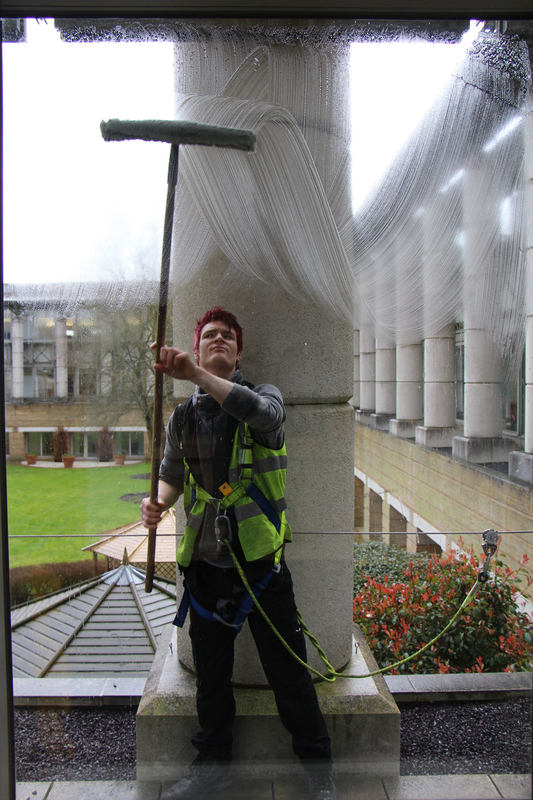 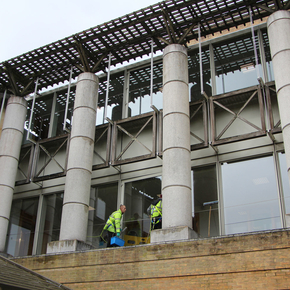 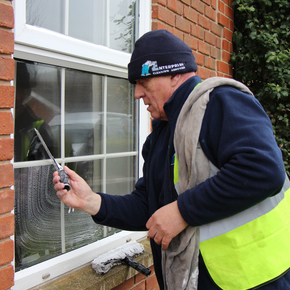 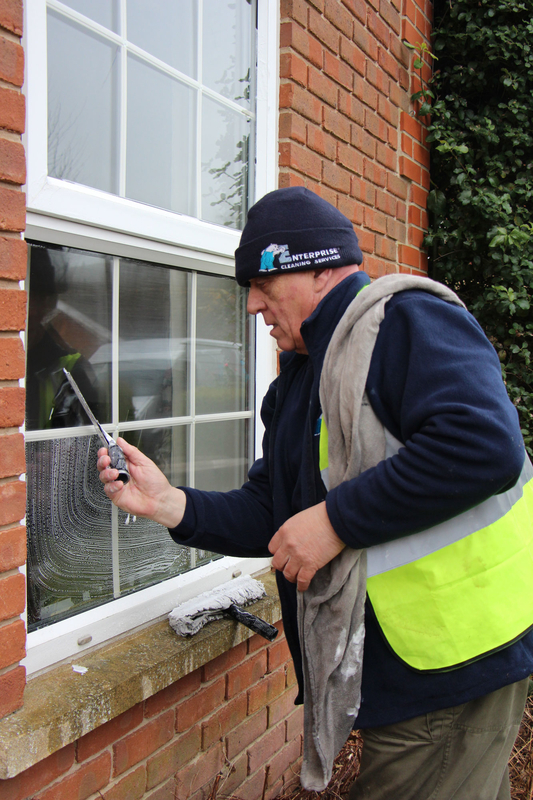 At Enterprise we can deal with any window cleaning challenge – using our Pole Wash System. 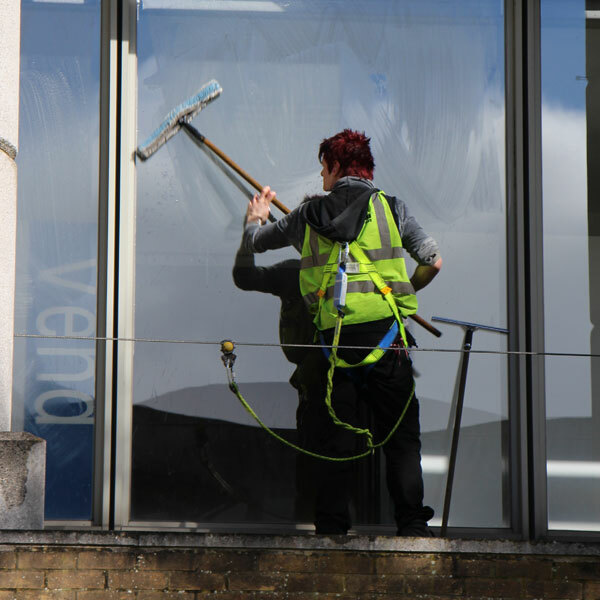 Using water-fed poles that can extend to 20 metres (75 ft) we can reach most windows on your building, including those that were previously inaccessible. We were the first company in the area to use the pole wash system, which we invested in as part of our aim to use the latest technology available to provide our customers with the best possible service. 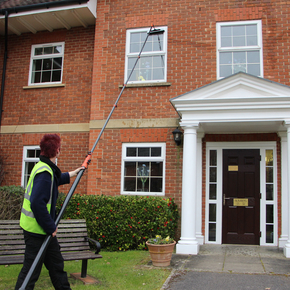 The poles are fed with environmentally friendly 100% pure de-ionised water, which we manufacture in-house. This specially formulated water actively disolves dirt and cleans windows, frames, cladding and signs without chemicals. 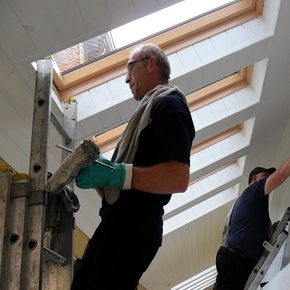 Our staff have undergone specialised training in the use of the poles and are able to use mobile elevated work platforms when working on larger buildings. 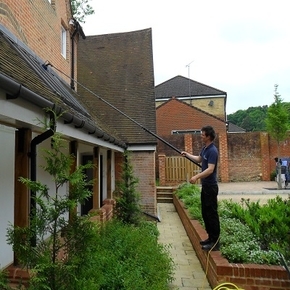 Call us for a free window cleaning quote.